Size: 782 sq.ft. - 939 sq.ft. Elite Platina is a Joint venture by Wadhwa Group & Terraform Realty Group in the area of Thane West. Platina is a portion of Elite Township that proposed you with proficiently constructed 2 BHK and 3 BHK enormous flats. Wadhwa Elite Platina Township is a collection of 5 Highrise buildings and they are named as Solitaire - A, B & C & Platina A & B over 1.70 acres plot. The developers has introduced this project for residential as well as for commercial purpose. Platina A(19) is registered in the RERA of P51700008189 & Platina B(20) is registered under RERA No - P51700010204. Both the towers are under construction stage currently while the completion date for Building A will be in the 4th Quarter of 2018 & Building B will be ready by Quarter 4 of 2020. The Elite Platina towers offer you 80 apartments in Tower A and 84 Apartments in Towers B. The project is a structure of 21 Storeys & 22 Storeys. The Platina apartments interior is presented with Vitrified tiles, Laminated wooden flooring in one bedroom, Powder Coated Aluminium sliding Windows, Laminated Doors and Melamine polish over door frames, Safety grill, Modular kitchen with Granite platform,Water Purifiers in the kitchen, Pipe Gas, Toilets with vitrified tiles, Sanitary fittings fixtures, Toilets with accessories, Mirror & Geyser in Bathrooms, Solar water heating and more to be installed soon.The area size of these two towers units ranging from 818.59 Sq.ft to 1019.77 Sq.ft (approx). The Wadhwa Group is Mumbai's most appreciated firm. Wadhwa Group has contented more than 20K customer and 100 MNC corporate tenants and also has been rewarded by CNBC-Awaaz Real Estate Award by "RR Kabe" for W54 and the International Property Awards Asia Pacific and Asia Pacific Property Awards 2013-2014 for up building properties in Powai, Matunga, Ghatkopar, Bandra Kurla Complex, Goregaon and Borivali. The group serve their customer with innovative residential design by hunting for concepts like never before. Their only vision is to bring a mixture of balance and enterprising nature with the help of their experienced and youthful team. For about 5 decades Wadhwa Group has been a part of real estate industry. 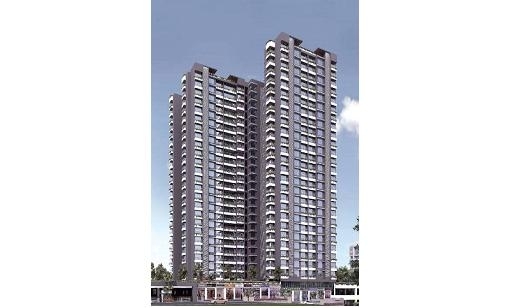 Thane Kolshet is developing locality and the neighbourhood of Mumbai. It is bypass to Ghodbunder Road networked via Eastern Expressway to Western Expressway. Thane is one of the hotspots as there is a lot of evolution for residential & commercial development. Thane gives you access to several lake destinations within due to that this location is called a City of Lakes. Out of all 33 lakes Talao Pali, Modak Sagar, Railadevi Lake and Upvan Lake are some of the famous and crowded destination that you can prefer to visit with your friends & families. Ghodbunder Road is very prime area of Thane with peaceful surroundings and green & hilly adventures. Elite Platina project is Opposite to Bayer India Everest World at Kolshet Road, Kapurbawdi, Thane West, Maharashtra - 400607. This property covers amenities like – Very impressive entrance lobby, Parking space, Play area for kids, Plaza for Senior citizen's, Meditation area, Multi-purpose court, Gymnasium,Billiards, Table Tennis, Carrom, Pool & Snooker, Chess game, Two kinds of Swimming pool for adults and Children's, Separate toilets for Servant, Intercom facility, Video door phone connected to entrance door & common lobby, CCTV facility at main locations, common lobby area with Smoke sensor system, Elevators in each building with power backup facility, Wi-Fi zone at Podium floor. Schools/Colleges – Blossom English High School,CP Goenka International School, St.Xaviers English High School & junior college, Hiranandani Foundation School, SaraswatiVidyalaya High School & Junior College. Bank/ATM(s) – ICICI Bank, Axis Bank, HDFC Bank, Canara Bank. Shopping Malls – Viviana Mall, Wondermall, High Street Mall, R-Mall, Lake City Mall. Movie Theatres –Cinemax & Cinepolis. Railway Stations – Thane Station, Mulund Station, Kalwa Station, Diva Station.